Adding to the vividness of the colors square measure the red teardrop hangings that square measure placed at the top of the pendant and also the equally designed earrings. 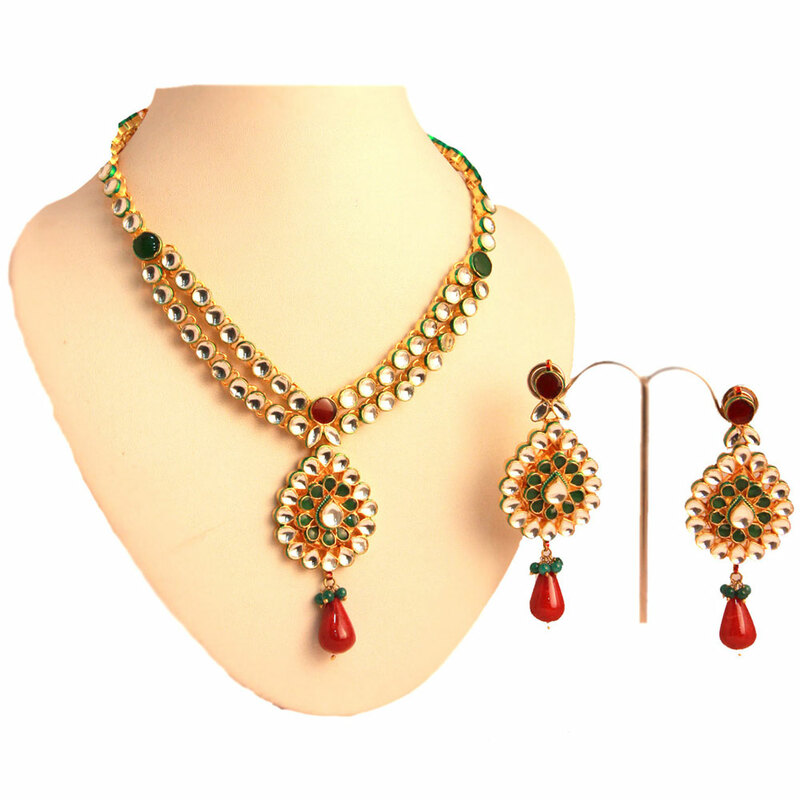 The contrasting colours of green and white kundan beads adorn this beautiful set consisting of a necklace with a pendant and a pair of earrings. Read More..Adding to the vividness of the colours are the red teardrop hangings that are placed at the end of the pendant and the similarly designed earrings. Show Less..